When visiting our website, information about visits to our site made from the browser on your terminal (computer, tablet, smartphone, etc.) may be recorded in files, known as “Cookies”, stored on your terminal depending on the preferences you have set regarding Cookies which can be modified at any time. A Cookie is a small text file saved in a special area of your terminal’s hard disk when you consult an online service using your browser software. It makes it possible for the issuer of the Cookie to identify the terminal on which it is saved for the duration of the Cookie’s validity or as long as it is saved. to implement security measures, for example when you are asked to log back in in order to access content or services after a certain lapse of time. We may include on our site application software issued by third parties which allow you to share content on our site with others and to inform others of your visit to our site and your views on its content. This is the case with the “Share” and “Like” buttons of social networks such as Facebook and Twitter etc. The social network that provides these application buttons is able to identify you using this button, even if you haven’t used the button during your visit to the site. Essentially, this type of application button can enable the social network concerned to monitor your browsing activity on our site simply due to the fact that your account with that social network is active on your terminal (open session) when you visit our site. We have no control over the procedures used by social networks for gathering information about your browsing activity on our site and its association with the personal data they have access to. Please consult the privacy protection policies of these social networks to learn more about the use, particularly regarding advertising, of the browsing data they are able to gather using these application buttons. These privacy protection policies should, in particular, allow you to set your preferences with these social networks, particularly through the account settings section of the network concerned. Cookies agreement The registration of a Cookie on a terminal is effectively controlled by the preferences of the terminal user, which can be set or modified at any time using the options provided to them in the browser software. If you accept the storing of cookies on your terminal in your browser software, the Cookies contained in pages and content that you consult can be temporarily saved in a special part of your terminal. They will only be accessible to the cookie issuer. Refusal of Cookies If you refuse the storing of cookies on your terminal, or if you delete the cookies already saved, you will not be able to benefit from a certain number of features that are necessary for using certain areas of our site. This is notably the case if you try to access content or services which require you to log in. This will also be the case if we, or our services providers, cannot identify, for technical compatibility purposes, the type of browser used by your terminal, or its language and display settings, or the country from which your terminal appears to be connected to the Internet. In this case, we cannot be held responsible for consequences linked to the reduced functioning of our services that result from us not being able to save or consult the cookies which you have refused or deleted but which are necessary for the functioning of said service. How to set your preferences according to your browser Configuring the management of cookies and preferences is different in every browser. Information relating to this is available in the help menu of your browser, where you can find details on how to change your cookies preferences. If your terminal is used by more than one person and when multiple browser software is used on the same terminal, we cannot guarantee that the services and adverts shown on your terminal correspond to your use of the terminal and not to that of another user. If this is the case, the decision to allow others to use your terminal as well as your browser settings regarding cookies are your sole responsibility. 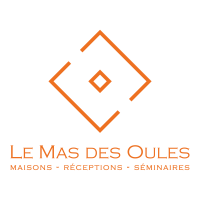 Starting in October, take advantage of a weekend at Le Mas des Oules to enjoy a relaxing or after-sport massage, a Provençal cooking class or a tasty wine & cheese stroll through the vineyards. Inquire with us for the details of our cultural, well-being and sports offering.